The second grade CogAT® expands upon the material found in the test for earlier grades, but also requires two new important skills that don’t actually have anything to do with the material on the test. Unlike Kindergarteners and 1st graders taking CogAT, second graders must read the question on the test, rather than listening to a proctor read it. The Verbal Analogy subtest challenges the student’s reading skills the most. Another change is for the sentence completion questions: the student is no longer shown figures or images; instead, the student is expected to fill in the appropriate word in the blank space. Second graders will also begin using a bubble sheet to record their answers for the CogAT. TestingMom.com offers sample bubble sheets for students to use, in order to build a familiarity with this method of recording answers. That way, your child can focus on the material being tested, rather than how to actually take a test. Below are several CogAT sample questions that are intended for the 2nd grade level. Each practice question will reflect a specific subtest that your child will come across. In this section, you will be given a mathematical equation. Choose the answer that should replace the ? or the symbol. Parent say to your child: What number will replace the symbol, so that the mathematical equation on the right is equal to the one on the left? In the Figure Classification subtest, the student is shown two rows of figures. The top figures are alike in some way. 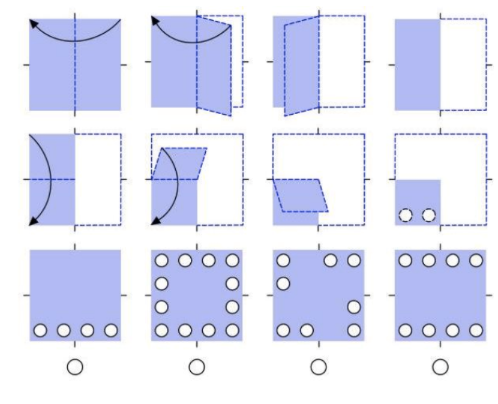 The student must choose one figure from the bottom row that goes with the top figures in the same way that the figures on top go together. Parent say to your child: Look at the shapes on top. They are alike in some way and so they belong together. 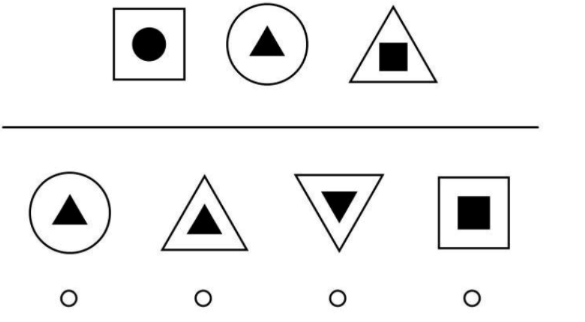 Choose one shape from the bottom row that belongs with the figures on top. The first two words in the sentences below go together in a certain way. Choose the answer that goes with the third word in the sentence the same way that the first and second words go together. In the number series subtest, the child is shown an abacus with one rod missing. The child needs to review the first five rods and look for a pattern or rule. Then the child should choose the sixth rod that would continue to pattern or follow the rule in the sixth place. Parent say to your child: Look at the example below. This is an abacus. The beads in the first 5 rods form a pattern or follow a rule. The beads in the sixth rod are missing. Can you choose the rod that goes in the sixth place that would complete the pattern or follow the rule? In the Paper Folding subtest, the child sees a series of pictures that show a piece of square paper being folded. Then, or or more holes are punched into the paper. The child must choose the answer that shows what the paper will look like when it is unfolded. Parent say to your child: Take a look at the pictures across the top. They show a piece of square paper being folded. Then, one or more holes are punched in the folded piece of paper. Can you point to the answer that shows what the square piece of paper will look like when it is unfolded. The questions were very helpful, they help with thinking skills. I love the the idea of math.It helps my math skills so much!